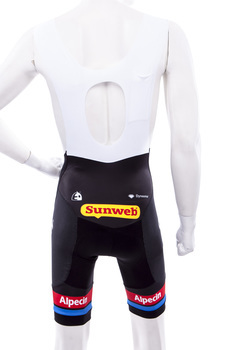 Protective cycling shorts featuring a new fabric to protect the thigh of the rider, the most vulnerable area during a crash. The fabric contains the super strong Dyneema® fiber that supports to maintain the integrity of the fabric. The new fabric combines excellent comfort (stretch) with enhanced protection. 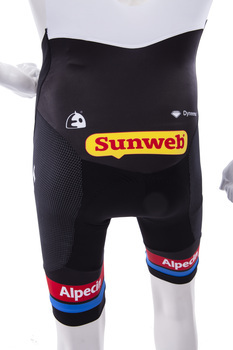 The shorts have been used for the first time by the riders of Team Giant-Alpecin in the Tour de France 2015. They proved their value in some heavy crashes that involved a.o. Ramon Sinkeldam, Warren Barguil and Georg Preidler; In these crashes the riders suffered no grazing wounds on their thighs. 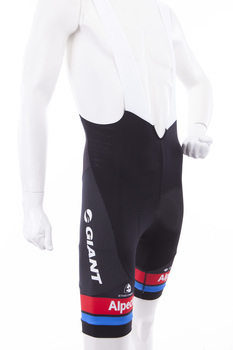 The product has been developed by DSM, Team Giant-Alpecin, Etxeondo and Taiana. Painful falls that often end with massive grazes are one of the disadvantages of professional cycling. Therefore, textile innovations that offer cyclists better protection from injury are all the more important.